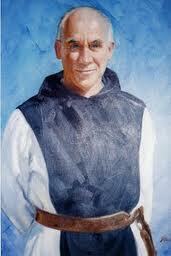 Thomas Merton is a sage of the modern contemplative and mystic world. He offers us some sound guidance for our spiritual pathways. He addresses silence and solitude and their impact on our development as whole human beings. The world of men has forgotten the joys of silence, the peace of solitude which is necessary, to some extent, for the fullness of human living. Not all men are called to be hermits, but all men need enough silence and solitude in their lives to enable the deep inner voice of their own true self to be heard at least occasionally. When that inner voice is not heard, when man cannot attain to the spiritual peace that comes from being perfectly at one with his own true self, his life is always miserable and exhausting. For he cannot go on happily for long unless he is in contact with the springs of spiritual life which are hidden in the depths of his own soul. If man is constantly exiled from his own home, locked out of his own spiritual solitude, he ceases to be a true person. He no longer lives as a man. He becomes a kind of automaton, living without joy because he has lost his spontaneity. He is no longer moved from within, but only from outside himself. The joy of silence and the peace of solitude are missing links in American society. Twenty first century America is searching for its soul and looking in all the wrong places. Merton calls for us to be in silence and solitude so that we might hear the inner voice. There are few among us that would not admit that all of God’s creatures are looking for spiritual peace. Such a peace is very illusive in our society. We find the ever increasing number of people who identify as spiritual but not religious. That very label is a deep interior cry for union with our inner selves. Somehow they have failed to hear the inner voice and therefore, suffer from the agony of separation from the springs of spiritual life that wait them. Merton acknowledges the impossibility of living as a hermit as the answer for the bulk of society. He does, however, strongly urge us to discover our inner selves. He calls our inner self our “home,” and implies that we are locking ourselves out of our own homes. In this act of exile, we cease to be a true person and become some kind of automated robot that merely functions from day to day. Let us begin today to heed the advice of this modern day sage, and seek silence and solitude whenever and wherever it presents itself.